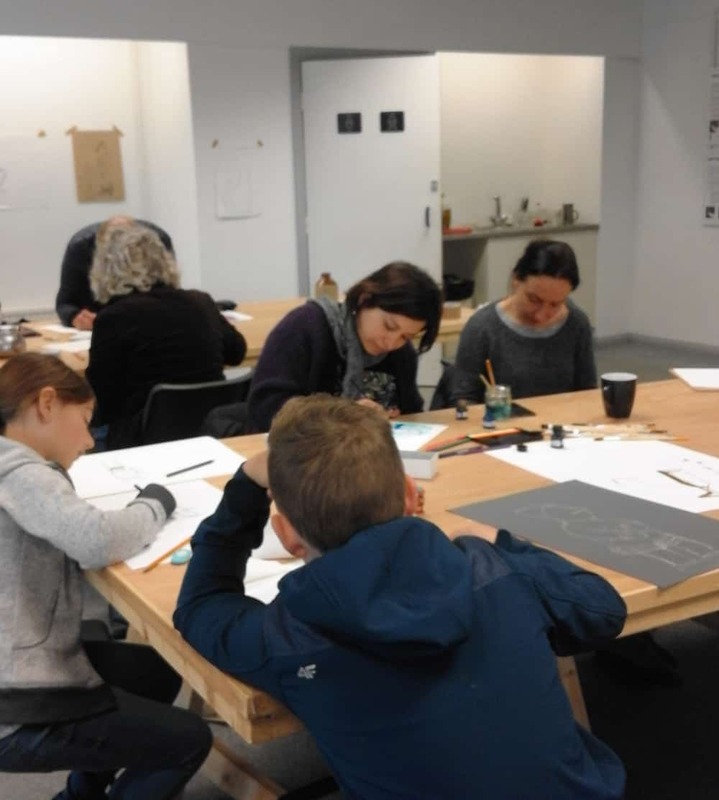 Over the 2017 Easter holiday local illustrator, Fran Evans hosted four drop-in drawing workshops at the Lab on April 5th, 12th, 26th and May 3rd. 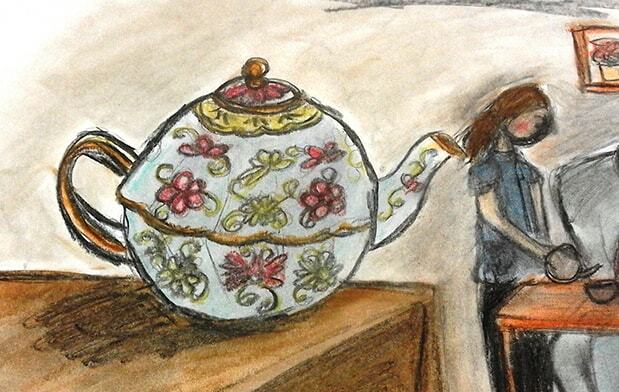 Having made her proposal to Ideas Lab, Fran invited budding illustrators to bring along an object that prompted memories of Haverfordwest, or choose an object from a ‘Memory Table’. Fran gave demonstrations and drawing tips as participants experimented with using a variety of media and papers, whilst participants talked about ‘days gone by’ over tea and cake, and illustrated their memories, experimenting with: Graphite pencils (lead and coloured, HB, 2B & 6B pencils), Willow & compressed charcoal, ‘smudging tools’, Pastels, Brush & ink, Cartridge paper, Coloured Pastel paper and Brown craft paper. Fran is looking forward to displaying the work produced (possibly throughout the summer holidays as long as the space is available), so keep an eye out on The Lab Facebook Group and Twitter for updates. Three participants, brought objects with Haverfordwest connections. One in particular recalled fond memories of a thriving town, worth hitching from Fishguard to get to – specifically to visit Swales music shop. One lady recreated a scene of river industry and another brought an object connected to an elderly friend in Haverfordwest. 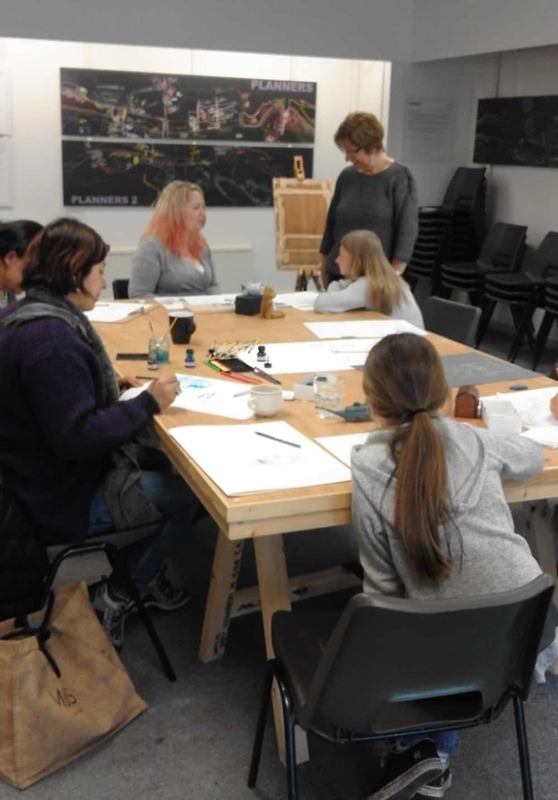 Everyone who took part enjoyed the concept of reminiscing through objects and drawing in a communal space.